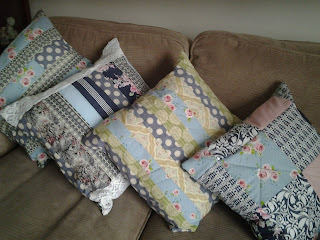 This is how to make some really easy patchwork cushion covers with zip backs. The days seem much brighter and I thought that my room needed a lift. 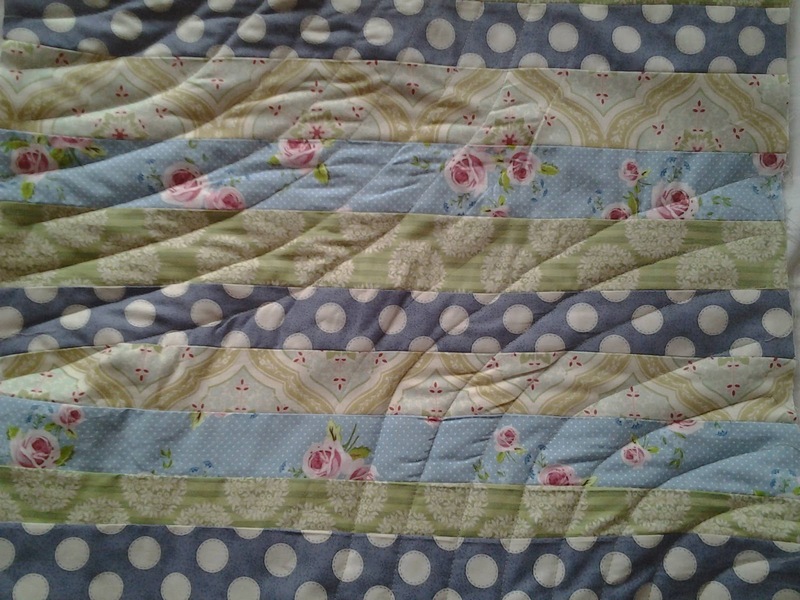 I had some Tilda fabric scraps left over from WHITETREEFABRICS.COM and also some fat quarters by Gutterman which were a gift from MAKE IT TODAY MAGAZINE plus one or two other bits. This is the Tilly and the Buttons ORLA top which won the prize. 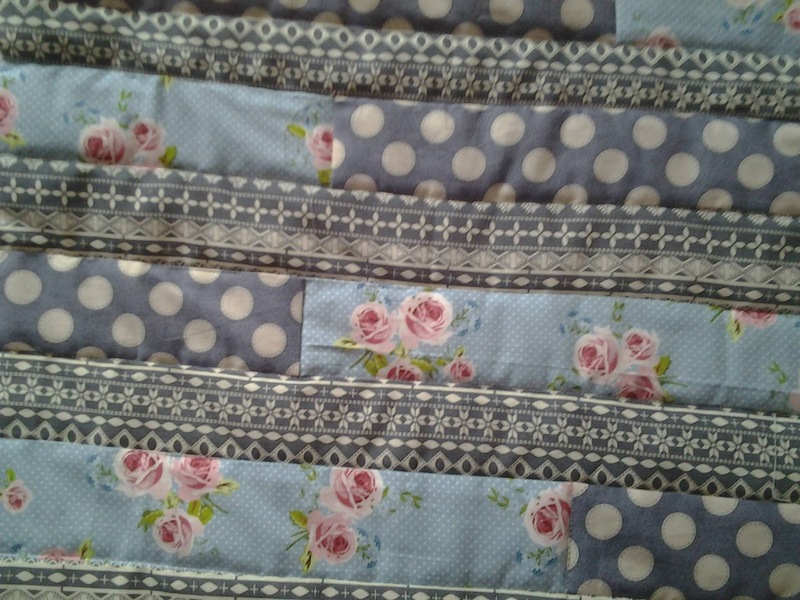 Patch work is easy or difficult, you get to choose, that's the nice thing about it, you can make something in an hour or a year depending on complexity.I like a bit of both. For cushions, which I change on a whim, I choose something simple. 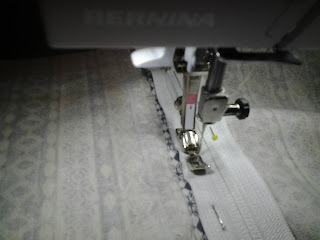 I never have a design in mind I just see where the fabric takes me. 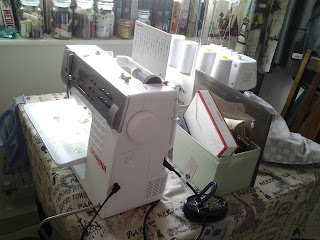 Of course it is made much easier by my wonderful Bernina sewing machine Provided by Jaycotts.co.uk, this is it on this link HERE . It is the Bernina 350PE, which is the Patchwork Edition so it is not only brilliant for everyday sewing but has the stitches and attachments to make patchwork and quilting easy. It even comes with a walking foot, which as you know I love and use a lot. There is a video from another post under if you are interested. The video talks about working with slippery fabric but the same principal applies to working with multiple layers as in quilting. 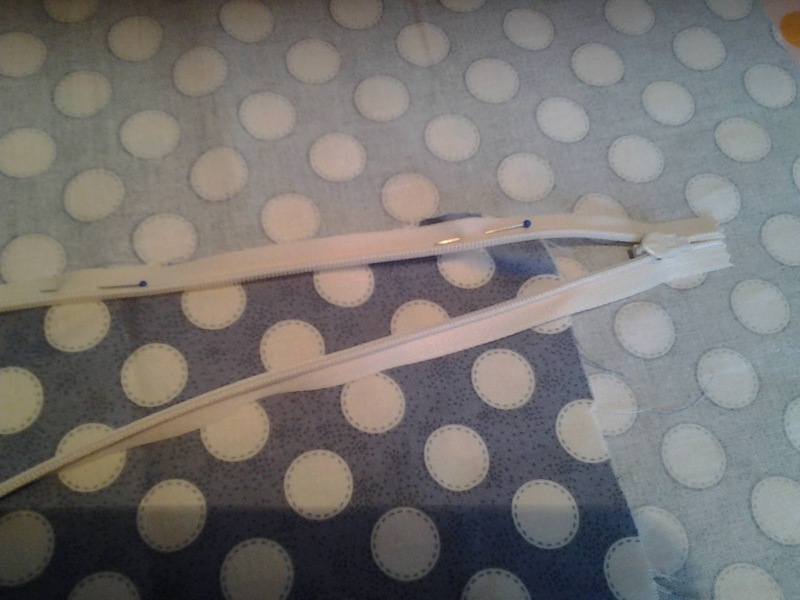 The walking foot prevents fabric slide and distortion. This machine is expensive I admit, but do chat to Jaycotts on 01244 394 099 to see what offers they have currently. 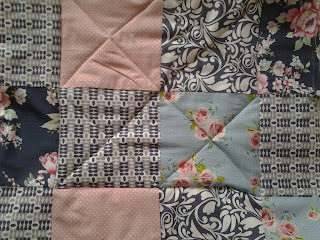 Gather all your fabric scraps together and iether arrange them formally or as I did, randomly, well randomly with a purpose! 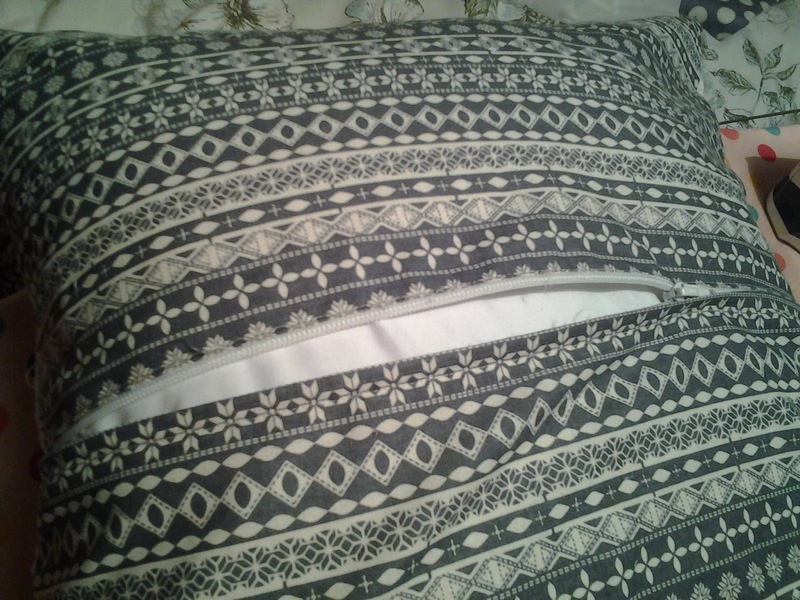 I let the fabrics themselves show how they should be arranged. 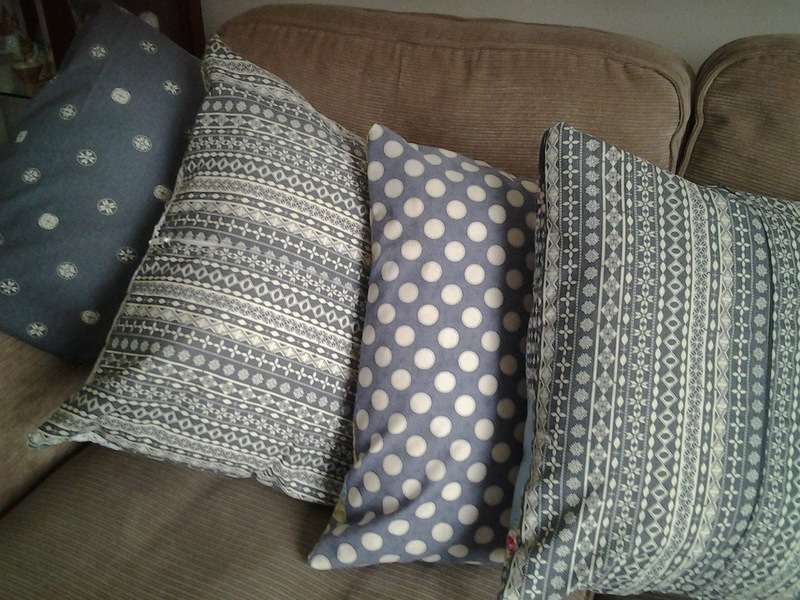 For three of the cushions I cut strips of varying widths, some cut in half and joined together. On one cushion I added wide lace to the sides and on the final one I went for squares surrounded by rectangles. No two are the same but they all coordinate which is what I wanted. 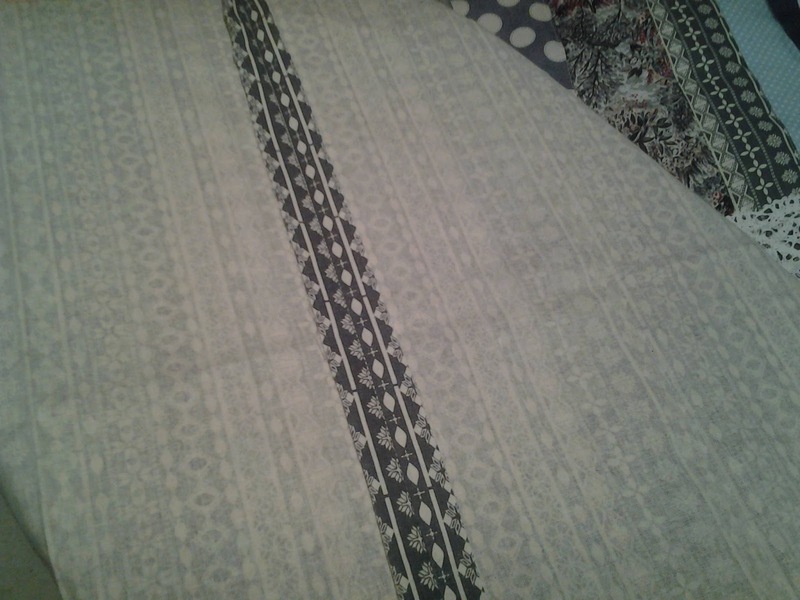 You now need a piece of wadding and some backing fabric. 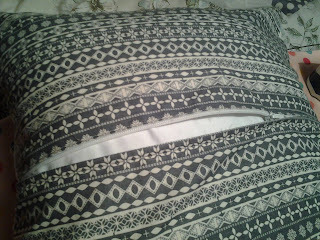 Some poly cotton or an old pillowcase or sheet will do.. 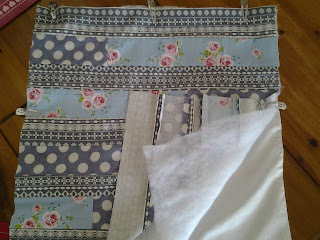 Trim your patchwork and press it flat. Cut wadding and backing fabric just ever so slightly bigger and pin or tack everything in place to hold the layers still whilst you quilt them. 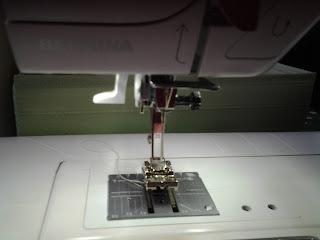 Quilting again is not something to worry about, you can do whatever you feel capable of, but try to have fun with it by stitching randomly in curves, or stitching around shapes or in the ditch ( that is stitching in the seam line). There are lots of ways you can quilt. Just make sure that you start in the middle and work out. 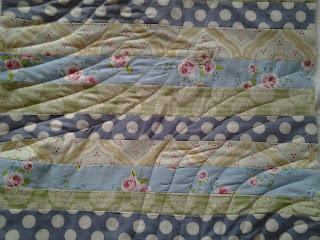 And this one quilted in sweeping curves, but whatever you do it will be perfect. For zips, Jaycotts.co.uk have an amazing selection, To see them look at the selection HERE for cushions I would choose plastic teeth over metal because you do not want to damage your furniture, but do not worry if the zip is invisible or ordinary, or if it is too long. 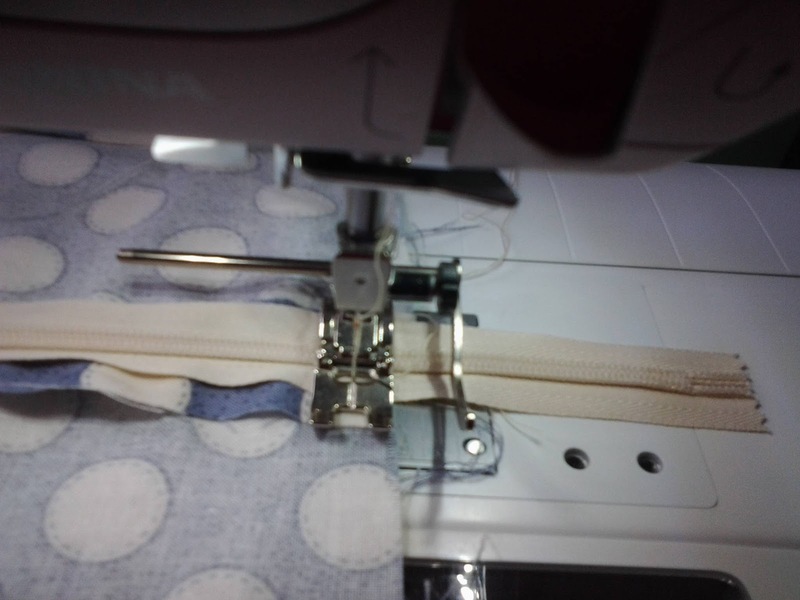 Lay the zip face down and using your zipper foot machine close to the teeth. 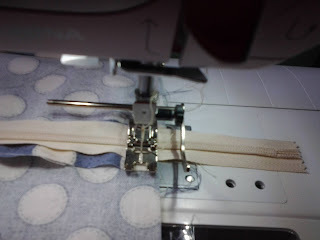 You will have to remove some tacking to be able to pull the slider down while you stitch the top bit. This is the normal zipper foot. I have covered inserting invisible zips many times in this blog, so look for Invisible zips in the TABS list. 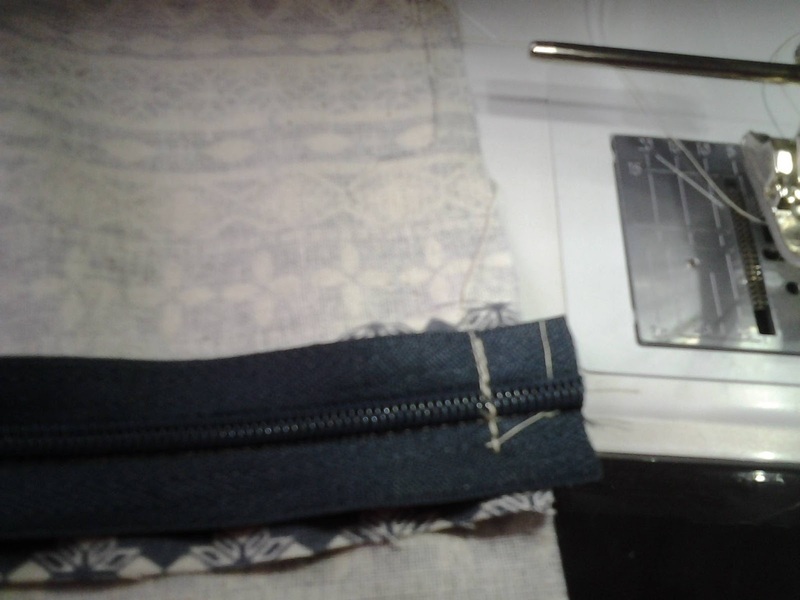 Because this zip is very fine and I am confident it will not damage my machine I am happy to sew over the end a few times before trimming the unwanted end off. 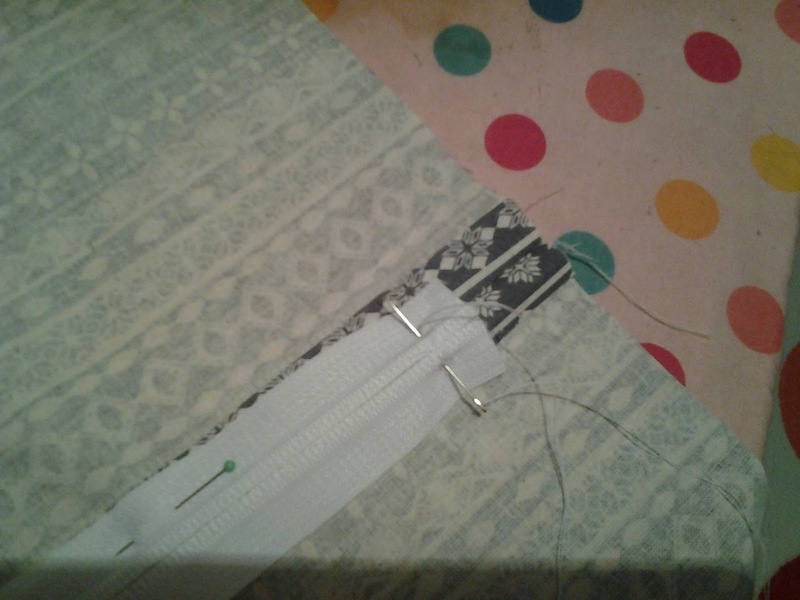 This is all that's required to shorten the zip. By the way, if you ever wanted to shorten a metal zip you will need to get your pliers out and remove the excess teeth before stitching the bottom. 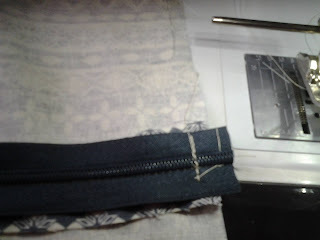 If it is an open ended zip which you need to shorten it has to be done from the top. I will show you how to do that in the near future. Remembering to leave the zip open a few inches! Stitch the front to the back all the way round, you could add piping at this stage if you wanted. Trim the corners off and turn right sides out. Make the others in the same way. This is the one I added lace panels to, you could use ribbon or anything else you wanted. 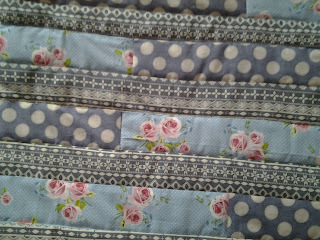 And again these are the fronts. Very spring like and brighten my home a treat. Please have a go, and most of all have fun. 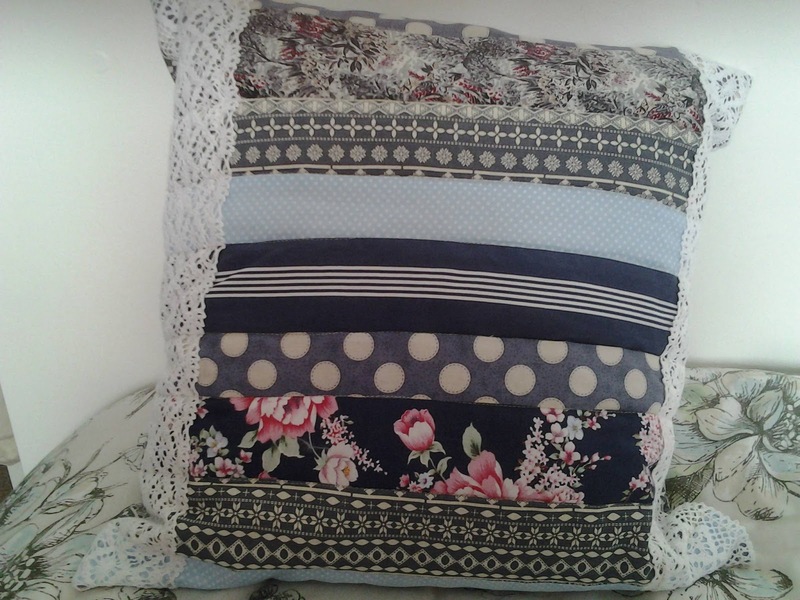 It's a great way to use up your scraps!